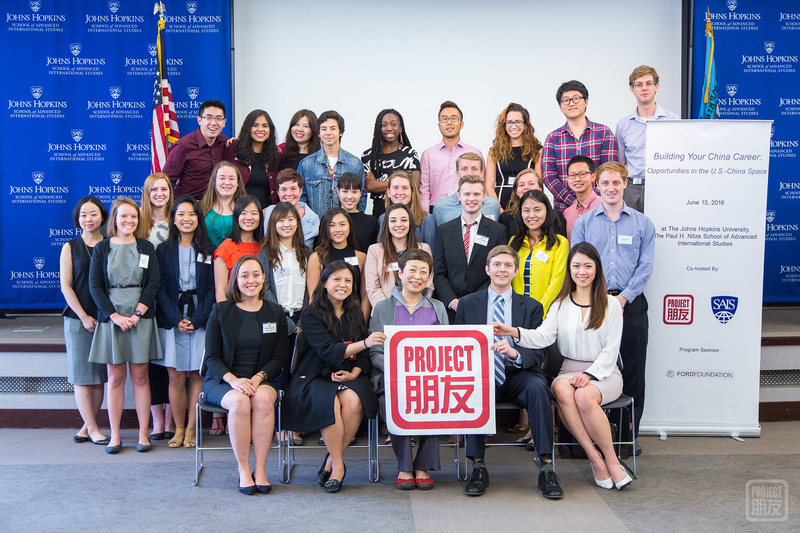 On June 13th, 2016 Project Pengyou, returned to the Johns Hopkins School of Advanced International Studies – China (SAIS – China) in Washington D.C. for a speaker panel to give advice on building a US-China Career. The speakers spanned a range of experiences and sectors relating to US-China relations from media to public relations to finance. All three were relatively young and accomplished and had a lot of practical and timely advice for the audience about getting started in an international company, as well as a few of the ups and downs presented in the field. Panel Speaker, Serena Lin shares her experiences in a multi-cultural work environment. Panelist Gabriel Morris, who worked for 8 years at the Chinese state-owned enterprise, CITIC, started the discussion by addressing different types of challenges that come with working in a foreign country or company. He mentioned that the biggest and perhaps the most obvious hurdle is cultural communication barriers not limited strictly to a knowledge (or lack thereof) of Mandarin. 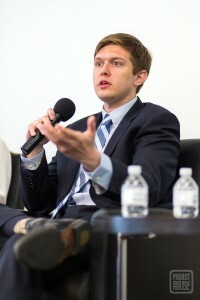 Travis Thompson, the panelist from Brunswick, echoed Gabriel’s sentiment, pointing out: “you have to consider how the words you are saying might be taken.” Greeting a Chinese colleague by saying “what’s up?” might not have the desired effect; instead, try asking “吃了吗?” (chi le ma, or have you eaten). Another potential challenge is the cultural environment or context that you may be working in. 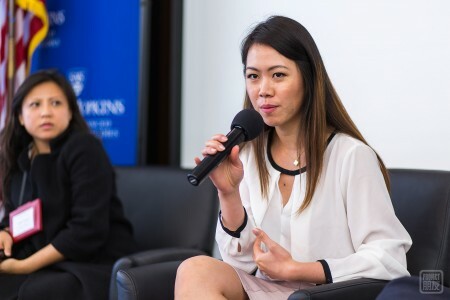 Panelist Serena Lin, who was part of the founding team for CCTV America in Washington DC addressed this, stating that she is in a very multi-national work environment (99% of her colleagues are not Chinese), and she often leverages her Chinese background and American education to be a bridge builder. When searching for jobs, the moderators and panelists all agreed that reaching out through your networks: personal, alumni, and even linkedin, all are the most effective ways to search for jobs in the US-China field. It takes patience, bravery and persistence and you might not know exactly what to pursue at first, but things will become clearer if you make friends, keep learning, and trust your instincts. 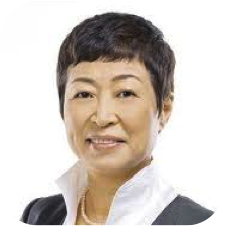 Mei Yan is currently a Senior Partner at Brunswick Group, an international corporate communications partnership that helps organizations address critical communications challenges. She previously served for a half decade as the Managing Director of MTV Networks Greater China and Chief Representative of Viacom Asia. Prior to that, Mei Yan was one of the most decorated international journalists and TV producers from China. For 14 years, Mei was a reporter and manager at CNN Atlanta HQ, where she and her team won three Emmy Awards and two Awards for Cable Excellence for her coverage in war zones. She also served as VP of Marketing and Distribution for Turner International Asia Pacific Ltd., and as the Chief Strategy Officer, Chief Representative, and Chief Public Affairs Officers at News Corp. and STAR TV (China). Mei Yan was named one of five most powerful women in China by the Daily Beast. Mei Yan holds a Master of Philosophy degree in Political Science and a Master of Arts degree in International Relations from Columbia University, U.S.A., a Master of Arts degree in Advanced Russian Area Studies from Hunter College, City University of New York, and a Bachelor of Arts degree in Russian Language and Literature from Beijing Normal University. 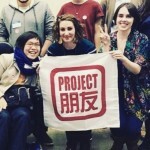 Mei Yan currently serves as Vice Chair of the Board for the Golden Bridges Foundation, which houses the ProjectPengyou.org program. 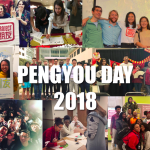 Holly Chang is concurrently serving as the Executive Director of the Committee of 100 and President of the Golden Bridges Foundation, which houses the Project Pengyou initiative. 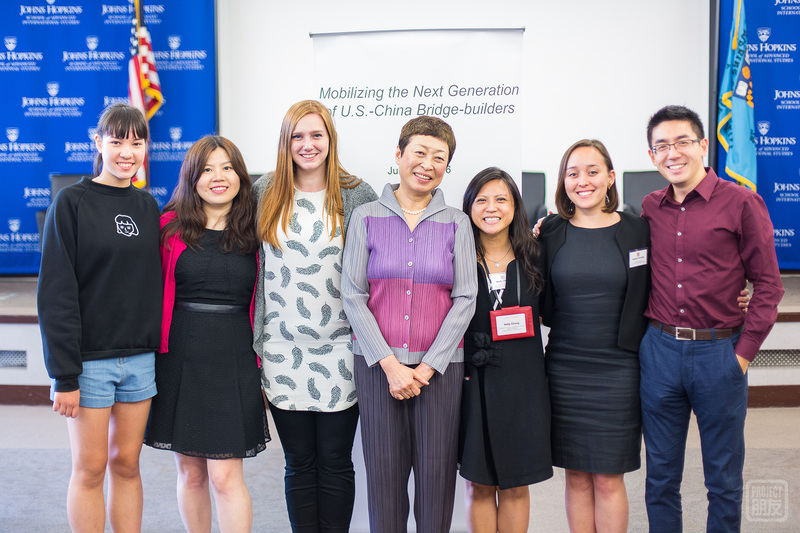 As a Chinese-American social entrepreneur, she has served hundreds of nonprofits in China as an international bridge-builder supporting diverse projects in climate change, education, health and philanthropy. Ms. Chang began her career as a civil engineer at the United Parcel Service working on cutting-edge and fast-tracked engineering projects budgeted over $1 billion. The Committee of 100 is an international non-partisan leadership organization of prominent Chinese Americans in business, government, academia, and the arts. For over 25 years, the Committee has been committed to a dual mission of promoting the full participation of Chinese Americans in all fields of American life, and encouraging constructive relations between the peoples of the United States and Greater China. Serena (Shiyun) Lin is a current affairs talk show producer for CCTV America. She is also the first China-born winner of Washington Metropolitan Miss Chinese American Beauty Pageant (2010). She was born and raised in China, and later adopted US permanent residency. She was educated in China, the United Kingdom and the United States. She completed her bachelor’s degree at Xiamen University, China, and obtained her master’s degree in Public Communication from the American University in Washington DC. She later received her post-graduate certificate in Business Journalism from the Wharton School of Business at the University of Pennsylvania. Serena frequently contributes to Chinese American television, magazines and blogs including the Washington Chinese Media, and Asian Fortune Magazine on the matters related to Asian American community and US-China relations. She directs her passion and unique background to promoting China-US relations through producing high profile interviews at CCTV America. She has produced interviews with former US President Jimmy Carter, former Secretary of State Henry Kissinger, and former US Ambassador to China Gary Locke among many others. Travis has experience across a range of sectors including M&A, public affairs, consumer goods, agriculture, TMT, energy, real estate, cross-border trademark litigation, cybersecurity and e-commerce. His focus at Brunswick is on public affairs, crisis (including pre-crisis planning) and US-China issues as well as broader business critical areas such as capital markets advisory, investor relations and profile-raising. He is currently working on the China National Chemical Corporation’s $43 billion acquisition of Syngenta, the largest ever Chinese acquisition of a foreign company, helping the firms to navigate the regulatory environment in the U.S. He has had clients on both sides of the Pacific including Syngenta, Whirlpool, JD.com, iQIYI, Chevron, Trina Solar, Century 21 China and Noah Wealth Management among others. 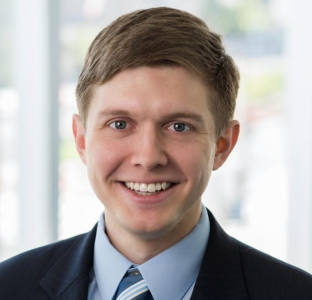 Prior to joining Brunswick in 2014, Travis worked at Cubic Applications Incorporated, where he provided in-depth research for client projects and logistics implementation. Before Cubic, Travis worked for IES Abroad at Beijing Foreign Studies University, a Chicago-based study abroad consortium with centers at universities in 22 countries, where he provided cross-cultural communications and crisis management for Chinese, American and European staff and students. 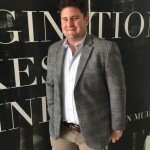 He has been published in his university’s undergraduate history journal the James Blair Historical Review and the American Chamber of Commerce in China’s monthly magazine Business Now. Travis earned a Bachelor of Arts in History from The College of William and Mary, concentrating in modern East Asia, with a minor in French. He graduated from the Inter-University Program for Chinese Language Studies (IUP) full year intensive language program at Tsinghua University in 2014 and is fluent in Mandarin. Gabriel S. Morris, Executive Director, Investment Banking Division, Mergers and Acquisitions Group, Goldman Sachs Gao Hua Securities Co, Ltd. Prior to Goldman Sachs, Gabriel (莫浩波) was a Vice President at CITIC Securities Co, Ltd, in the Investment Banking Division. Gabriel holds a Bachelor of Arts in Economics-Philosophy from Columbia University in the City of New York.